This morning, my sister Courtney and I had breakfast with Sarah, a sweet friend that's visiting from L.A.! We all grew up together in the Northwest before both of our families relocated to the South, so our time together is familiar and we tend to bypass surface level conversation pretty quickly. I'm a fan of non-surface level convos! Because Courtney and Sarah are both vegan/vegetarian for different health reasons, we drove to East Atlanta to check out Dulce Vegan Bakery & Cafe. It's a little bit off of the beaten path but has a good selection of vegan options. They also have a good selection of loose leaf tea, so I was happy, too! While I do want to find ways for Eddie and I to eat healthier...I really just like meat, ha. 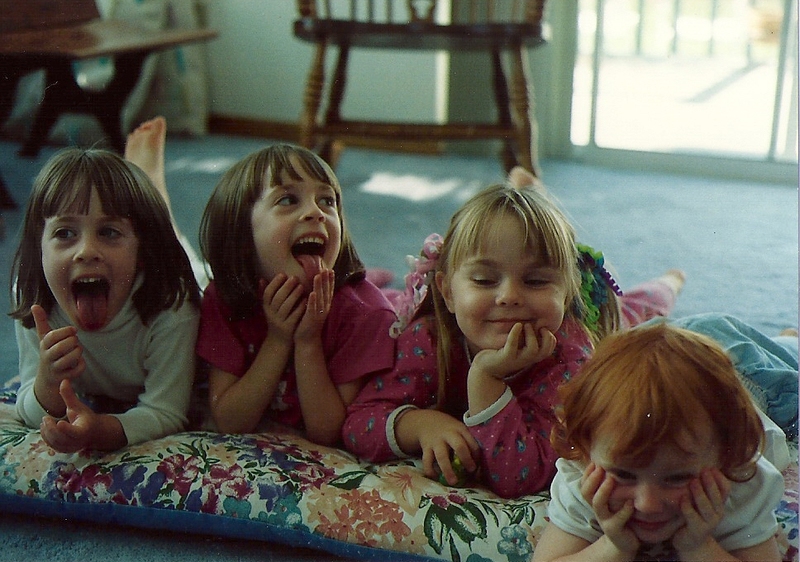 Bonus photo: Sarah, Lauren, me, and Court back in the day. Thankful for friendships that stand the test of time! So glad that we got to hang out with this lovely lady while she's visiting!